Today I’m announcing a big ‘prelaunch give away’. What? A big away, but a special one. You can win the Mara blouse pattern here and on 14 other places in blogland the coming week. Before the pattern is even launched! And that’s not everything. 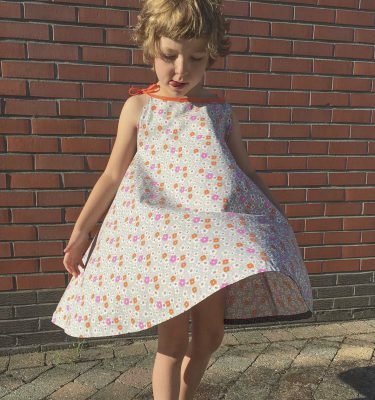 I hear you already thinking: what’s the chance that I win a free pattern… BUT: everyone that participates on any of the blogs will receive a 10% discount code when the pattern is launched (1st of October). It’s an exclusive discount, so you always win a bit. Today the tour starts at: S is for sewing & By Eva Maria. You can participate once on each blog. So of you go! 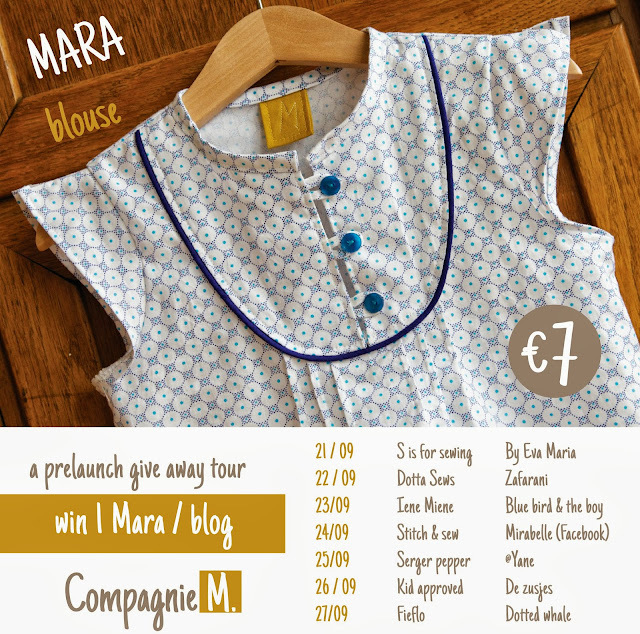 Also here at Compagnie M. you can of course win a free Mara blouse pattern. Just fill in your e-mailaddress underneath and hopefully you’ll receive an e-mail with the pattern soon! Good luck! Oh my that’s a beautiful top I want one, the pattern of course!!!!!!!! Ik zag het resultaat al eerder en vind het prachtig! prachtig bloesje… kan niet wachten !! Thank you for the giveaway and congratulations on the lovely pattern. Thanks. I felt so frustrated but I could not see that plug-in here at all (on my desktop machine). Then I opened up your blog on my mobile and it was there. I guess it has something to do with the version of my browsers? sarajspeight@yahoo.co.nz. I love this pattern! How pretty! Thank you for an awesome give away!! I LOVE your patterns and I know that this one will be no exception! Ik zie ook geen plug-in op mijn smartphone. Straks eens op de desktop proberen…super tof initiatief! Gisteren kon ik de plug-in niet zien op de laptop, maar vandaag wel. i Love your patterns, they are so Sweet!! Ik ontving zo juist je mail dat ik winnaar van één van de patronen ben. Reuze bedankt!! !